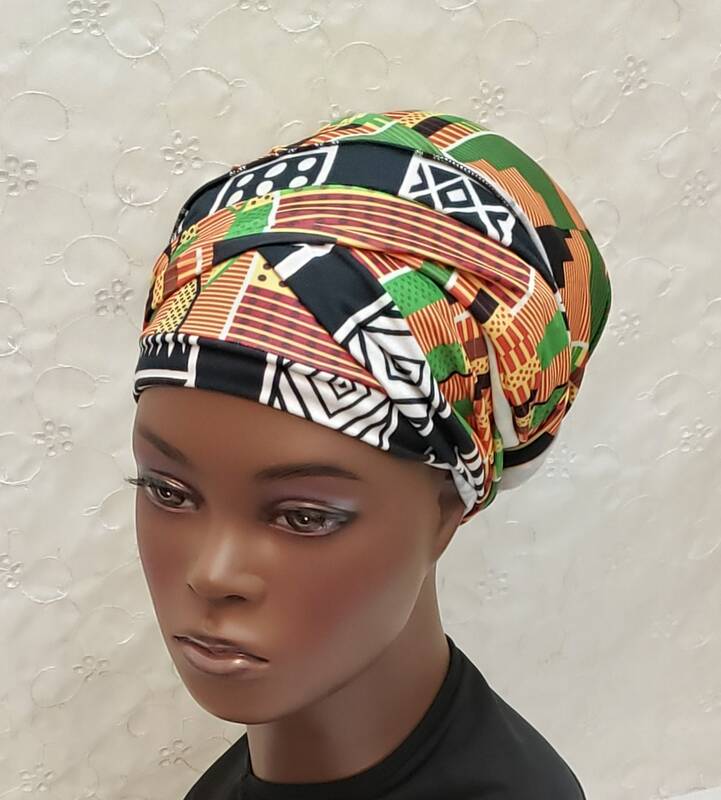 African tribal print designs mixed in an exciting combination. 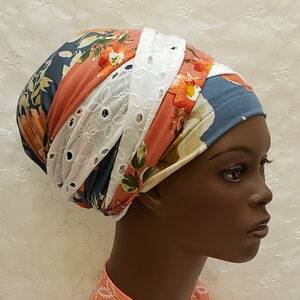 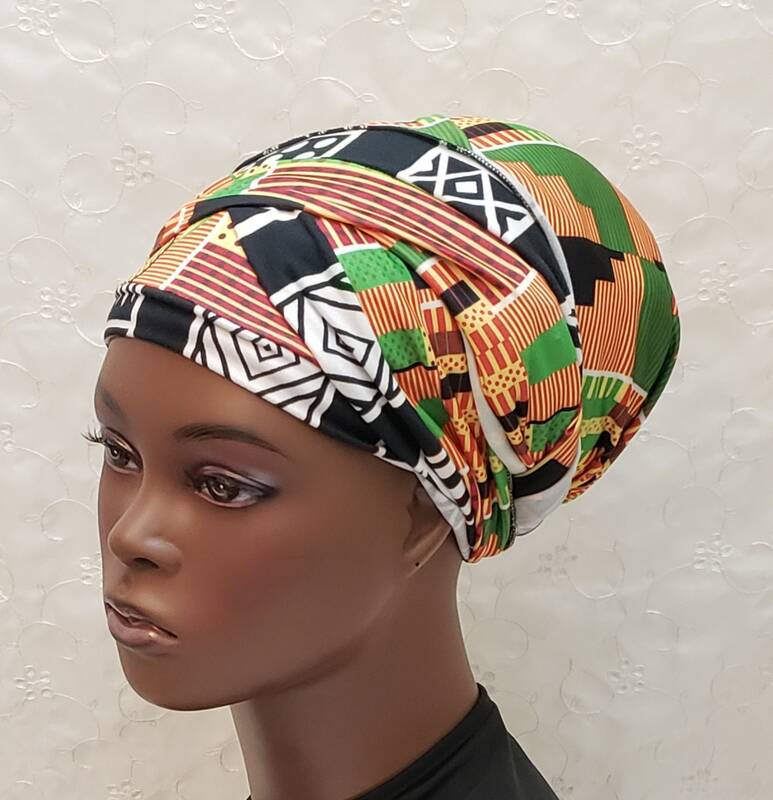 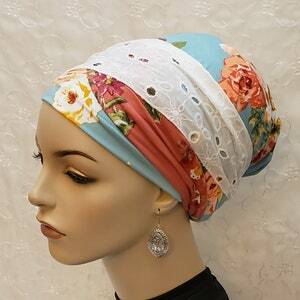 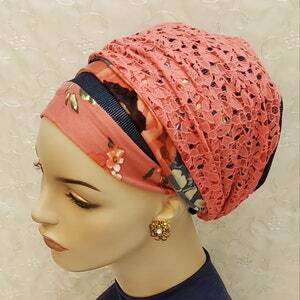 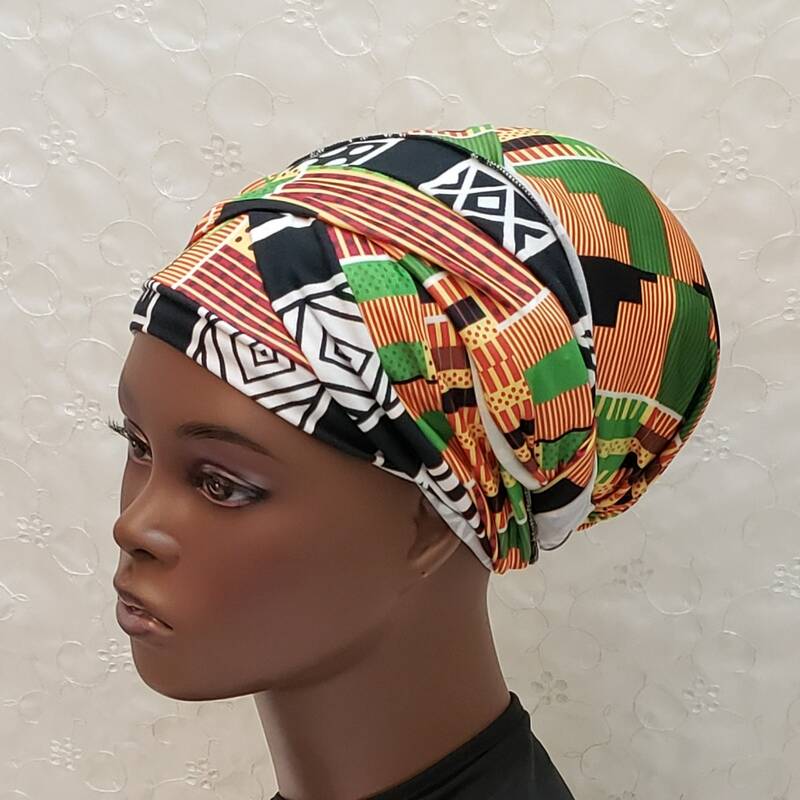 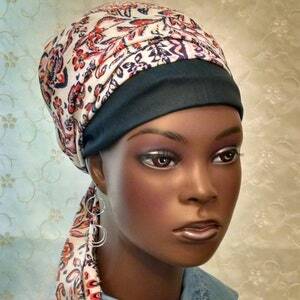 This is a sinar/apron style head wrap that is easy to put on and with less bulk! 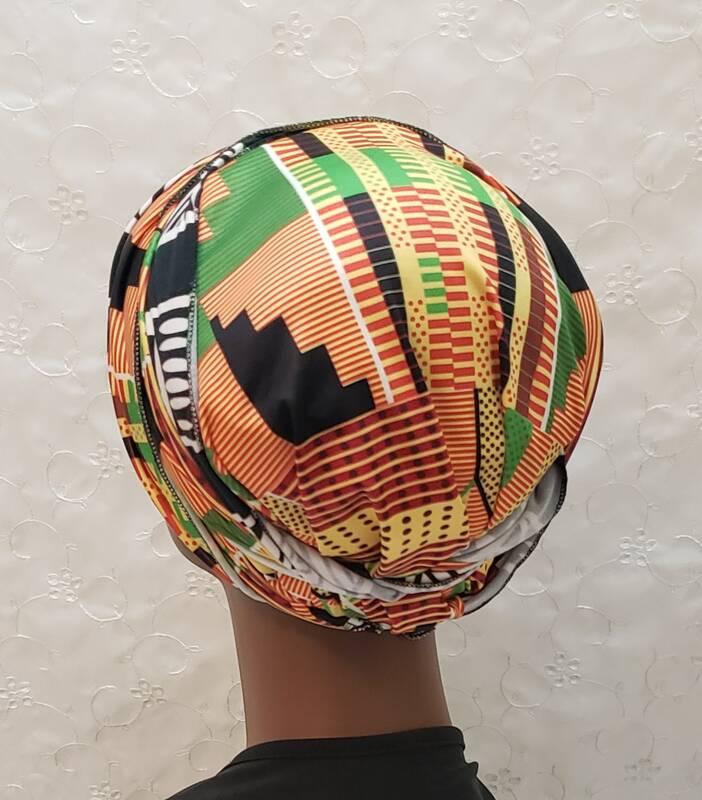 All the patterns are sewn into place already. 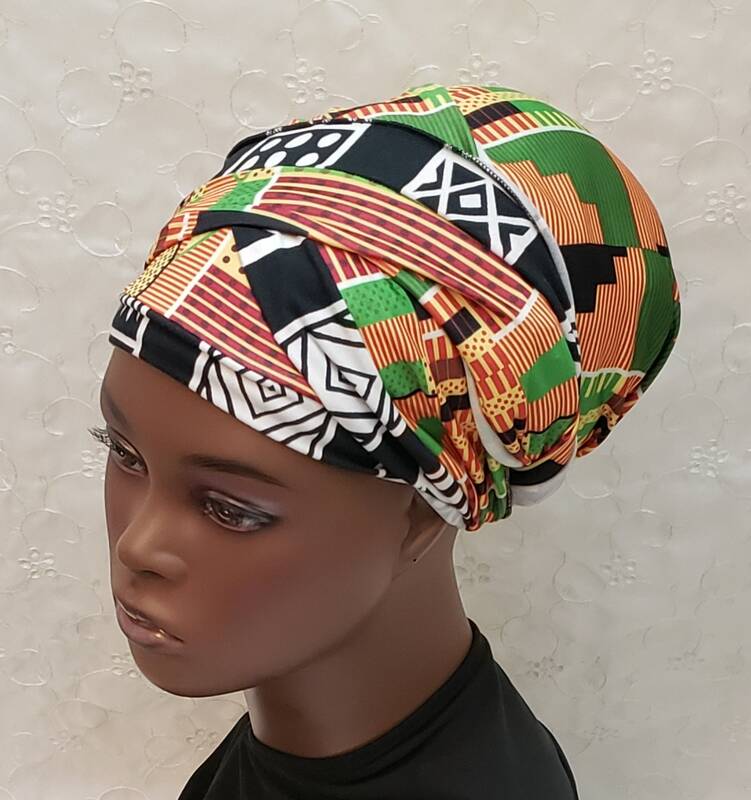 Just a quick wrap and go!